The FLSA generally requires employers to pay at least minimum wage and overtime compensation to nonexempt employees. Two common exemptions are the executive exemption and the administrative exemption. If an employee qualifies for either exemption, her employer is not required to pay her minimum wage and overtime compensation. If an employer misclassifies an employee (i.e., treats the employee as exempt when in fact he is nonexempt), it could be liable for back pay, liquidated damages (in an amount equal to the amount of back pay), attorneys’ fees, and litigation costs. Consequently, if you classify a position as exempt, you should be able to defend the classification. A useful piece of evidence for demonstrating the exempt nature of a position is its job description. A job description should list the duties performed by the person in the position. To emphasize the exempt nature of the position, the job description should include the exempt duties the employee performs. Of course, the job description should be accurate. Monitoring or implementing legal compliance measures. To the extent that it is feasible and accurate for the position, a job description for a position classified as exempt under the executive exemption should list the above duties to emphasize its exempt nature. Another requirement of the executive exemption is that the employee must customarily and regularly direct the work of at least two full-time employees or the equivalent. The job description for an exempt executive employee should therefore indicate that she performs such a duty. The executive exemption also requires that (1) the employee must have the authority to hire or discharge other employees or (2) his recommendations and suggestions about hiring, discharging, advancing, promoting, or changing the job status of other employees must be given particular weight. 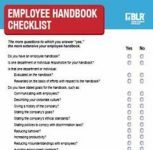 The job description of an exempt executive employee should therefore indicate that he has such responsibility. 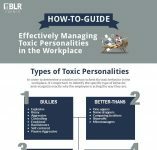 Whether the employee represents the employer in handling complaints, arbitrating disputes, or resolving grievances. To the extent that it is feasible and accurate for the position, a job description for a position classified as exempt under the administrative exemption should list the above duties and responsibilities to emphasize its exempt nature. 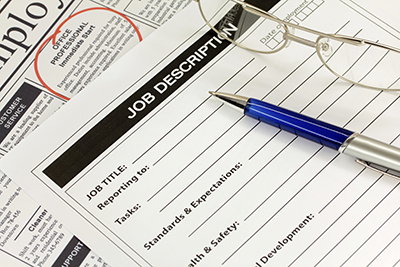 Job descriptions are important for several reasons, including allowing you the ability to emphasize the exempt nature of jobs you’ve classified as exempt. Your job descriptions should list the duties and responsibilities discussed above, to the extent that it’s feasible and accurate, for positions you’ve classified as exempt under the executive or administrative exemptions. If you have questions, consult with counsel. Tareen Zafrullah is an attorney with Faegre Baker Daniels LLP (Indianapolis) and a contributor to Indiana Employment Law Letter. If you have questions about this issue or any other employment concerns, you may contact him at tareen.zafrullah@faegrebd.com.